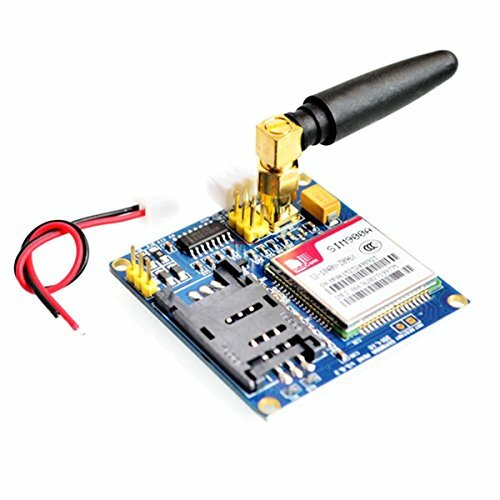 AVOLUTION SIM900A 1800/1900 MHz Wireless Extension Module GSM GPRS Shield Dev Board by AVOLUTION at AABX. MPN: SKU. Hurry! Limited time offer. Offer valid only while supplies last. 1. Form Color: Blue + Black2. Quantity: 1 Piece3. Material: PCB4. Frequency: 900 / 1800 MHz5. Working Voltage : 5 V6. English Manual / Spec: Yes7. The onboard two set power supply interface VCC5 5V power supply, VCC4 interface, 5--5V power supply, optional power on self starting (default) and control start. The onboard SMA (default) and IPXmini antenna interface, SIM9A interface reserved reset. The size of the module is 49*5, all the new and original device. The computer can give early computer debugging USB module power supply, a very large amount of data under the condition of the recommended current more than 1A. Standby dozens of MA data can be set to provide dormancy, dormancy of 1MA low power. Support 2, mobile phone 3,4G card. The serial port circuit: support for 3V single chip microcomputer. TTL serial port support 3 and 5V single chip microcomputer.